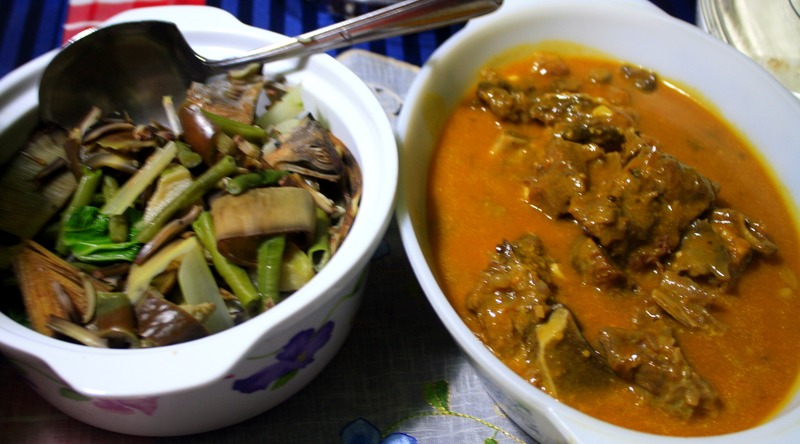 Kare-kare is one of my favorite Filipino dishes and I very much want to learn how to cook it. Traditional methods, however, are a bit difficult and time consuming so thank goodness for ready-made mixes! 1. 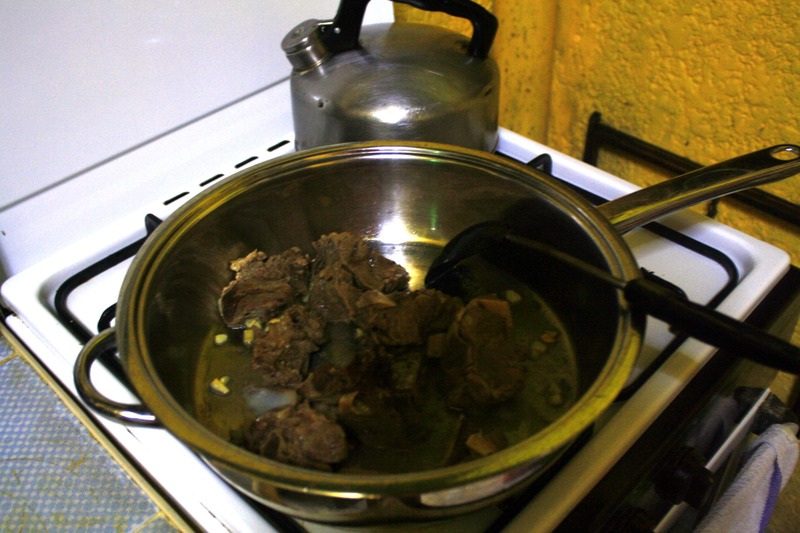 Now, all you have to do to start this is to boil your meat (oxtail, tripe, beef) for about four to five hours or until it’s tender. Keep the broth. 2. 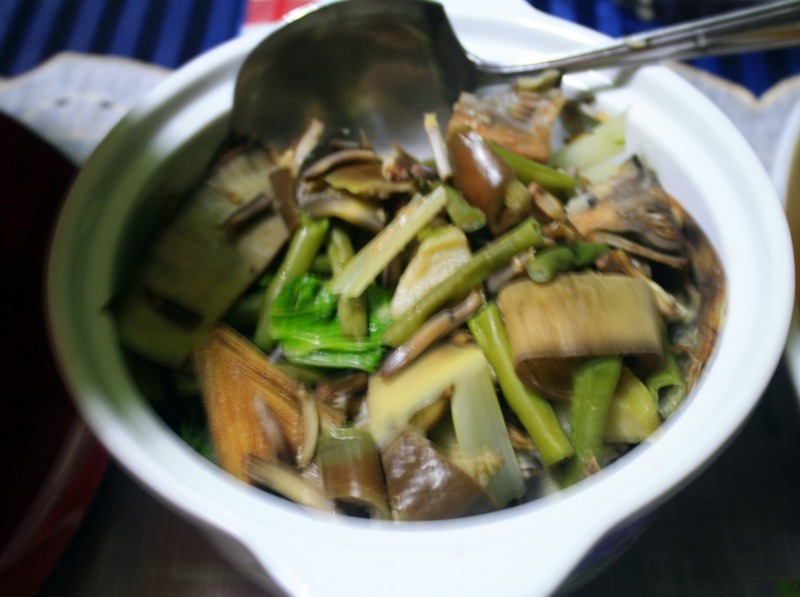 On a separate pan, boil some water then add some vegetables (egg plant, puso ng saging, pechay, string beans etc) and salt it. Don’t leave the vegetables on for two long. Just for ten to 15 minutes maybe then drain them into a bowl, add tap water to stop the cooking process, then leave for later. 3. 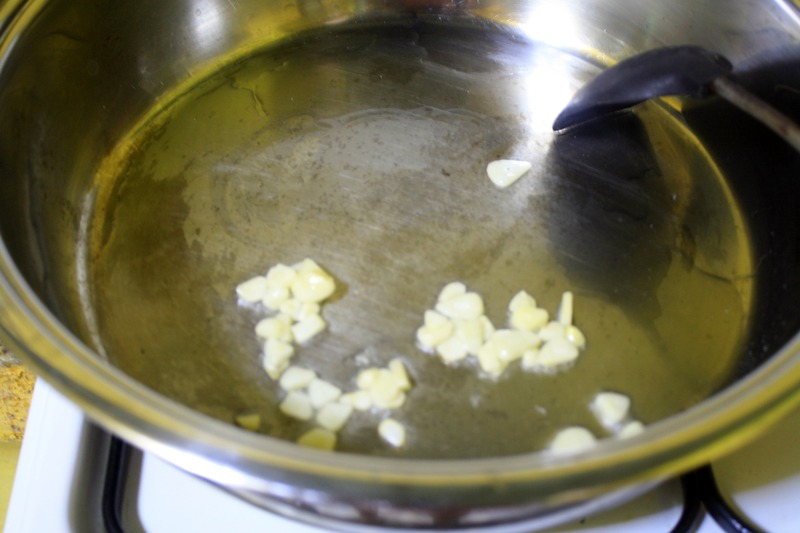 Once the meat is ready, saute some garlic and onions into a pan. 4. Add the meat into the pan and season with a bit of salt and pepper. Leave it long enough to brown the surface of the meat. 5. 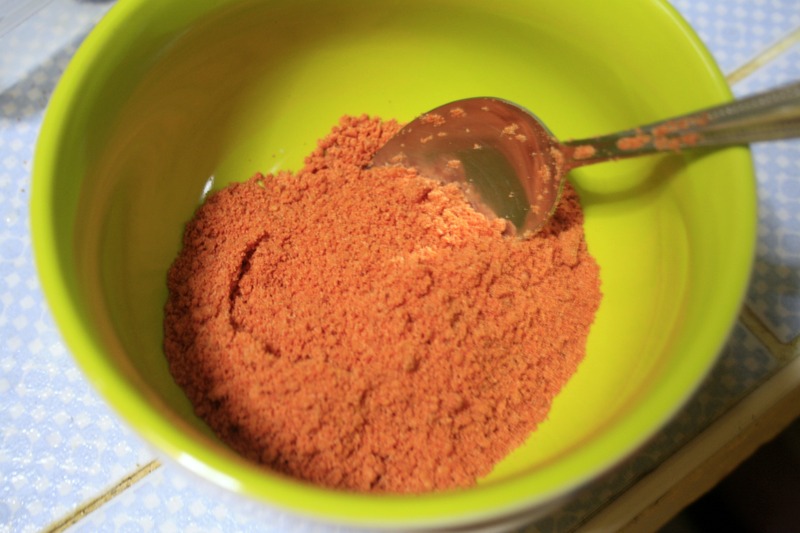 A ready made peanut sauce mix such as this makes life so much easier. 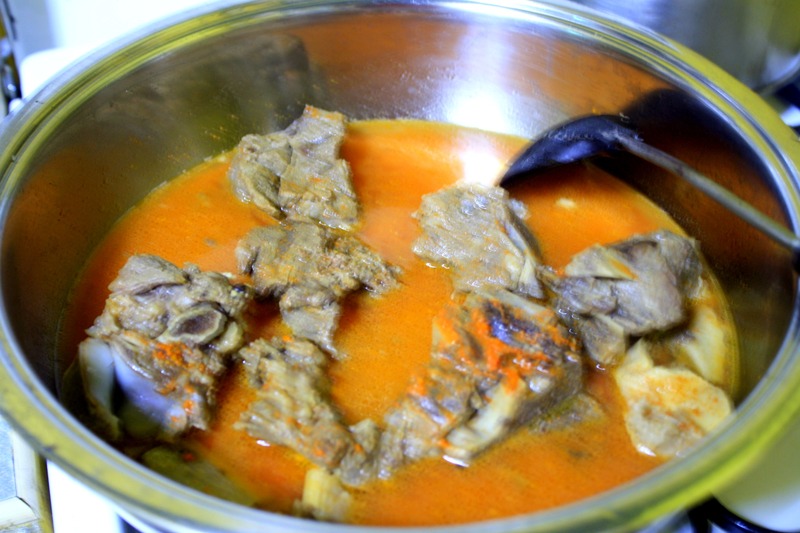 All you have to do is put it in a bowl, add some water, stir, then pour it into the pan where the meat is. 6. Add some salt, sugar, and pepper to taste. To add a more peanut-y flavor, mix a couple of scoops of peanut butter into the pan. Leave to simmer or until sauce thickens, stirring every once in a while. 7. 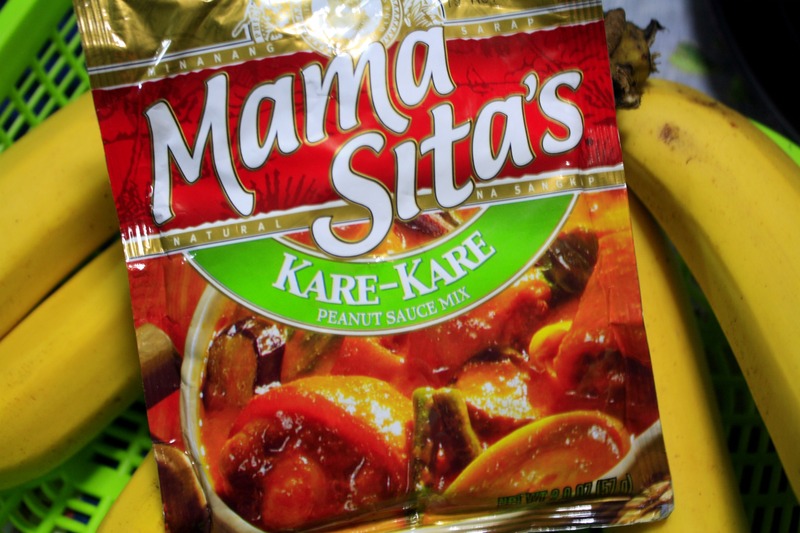 Make sure to serve it with lots of bagoong or shrimp paste! Yum, yum!